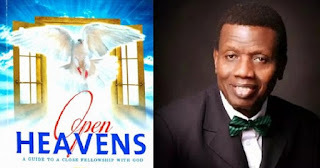 Open Heaven [20 February 2019] Cornered by God’s Mercy - Open Heavens Daily Devotional Messages, By Pastor E.A Adeboye. How marvellous is the mercy of our God to wash away our past into the sea of forgetfulness! Salvation is the exclusive prerogative of God alone; there is no human effort involved in securing it. So then, it is not of him that wills, nor of him that runs, but of God who shows mercy (Romans 9:16). 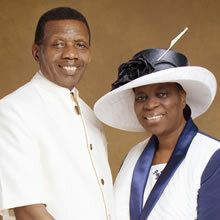 God has worked out everything in our favour through Jesus Christ His Son. He has shown us His mercy by granting us salvation, making it available for all mankind, irrespective of race, colour, language or culture. The least you can do to express your gratitude to Him is to accept His love and mercy today by giving your life to Jesus, proclaiming Him as your Lord and Saviour. When you do this, He will give you peace, joy and eternal life. Express your gratitude for the mercy of God you have received by telling someone about it today.